Simon continues to expand into New York City with signature academic programs and events aimed at attracting busy career builders and raising the School’s visibility nationwide. Anderson later hired a Manhattan-based staff member to help with daily operations and program administration. In just three years, Simon’s New York City presence has grown significantly. “We have had more than 70 students go through the program, so we now have a strong base of new alumni in New York City thanks to having a part-time program there,” Anderson says. “Those students represent more than 50 unique employers, so that creates an opportunity to build relationships that may lead to job opportunities for our students in Rochester. 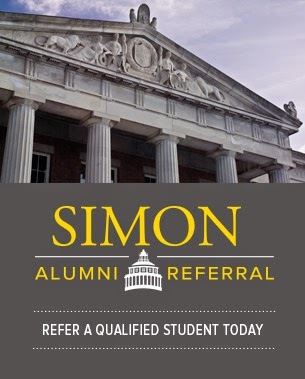 Simon also hosts an array of social events and guest lectures attended by both Rochester and New York City-based alumni and students. That offers a new network that we just didn’t have before, and that’s pretty powerful,” Anderson says. To achieve that objective, Simon has subleased more space in the AMA building to establish a local hub for student services and support, in addition to the existing classrooms. 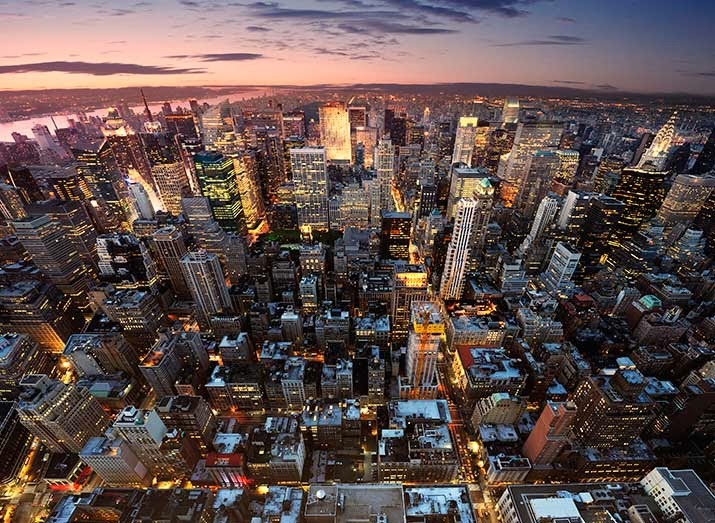 According to Conlon, having a home in New York City makes it more accessible for Simon students and corporate partners in the tri-state area to engage with Simon. “It helps us make our students more accessible to employers; it gives students additional job and internship opportunities; and, by building our brand awareness in the area, it helps bring new opportunities to the School, whether that’s students, corporate partners for hiring, or additional programs,” she says. Employers are noticing. Anderson says feedback has been positive. “Employers we’ve reached out to understand the benefit of the programs that we’re offering because they now have the ability to improve the skill set of their employees through a rigorous Simon education,” she says. “The format works extremely well over a 13-month period and the downtime is minimal, allowing for a very concentrated program of study for that time period. As Managing Partner and Head of Alternative Investments at Belpointe in New York City and a frequent CNBC contributor, Jeffery Tomasulo ’95, MS candidate, Class of 2014, is always anticipating the next big stock market opportunity. Jeff’s clients depend on him, as a trader and investor, to analyze the markets and come up with new and promising investment opportunities. That keen eye serves Jeff well, both in his work for his clients and in his own career. Students also have the option to return to Rochester to earn a Simon MBA in just one additional year of study within five years of completing the MS. Dan Shin is the first MSF graduate enrolling this fall to complete the MBA. Another aspect of Simon’s New York City expansion is to build brand awareness through signature events such as the fourth annual Simon New York City Conference, held on May 9 at the Roosevelt Hotel. Each year, the conference brings together leading policy makers, industry leaders, academics, and national media to discuss critical issues of financial regulation and the business considerations it affects. This year’s theme, “Reform at a Crossroad: Economic Transformation in the Year Ahead,” featured Executive of the Year Award recipient Lou Gerstner, Chairman of The Carlyle Group and former Chairman and CEO of IBM Corp.; Steve Forbes, CEO and Editor-in-Chief of Forbes Inc.; Charles Plosser, President and CEO of the Federal Reserve Bank of Philadelphia and former Simon School Dean; and Joan Solotar, Senior Managing Director, Head of the External Relations and Strategy Group, The Blackstone Group, among other notable Simon and University faculty and C-level alumni. Past conferences have featured Jamie Dimon, Chairman and CEO of JPMorgan Chase & Co.; Jeffrey Immelt, Chairman and CEO of General Electric; Christopher J. Christie, Governor of the State of New Jersey; Lawrence Kudlow ’69, Host of CNBC’s The Kudlow Report; and Robert Khuzami ’79, Chief Enforcement Officer at the Securities and Exchange Commission, among others. The conference is designed to serve multiple purposes: build brand awareness through media coverage, engage alumni from the tri-state area and other cities, provide a learning and networking event for Simon students, and invite corporate partners to attend as guests.